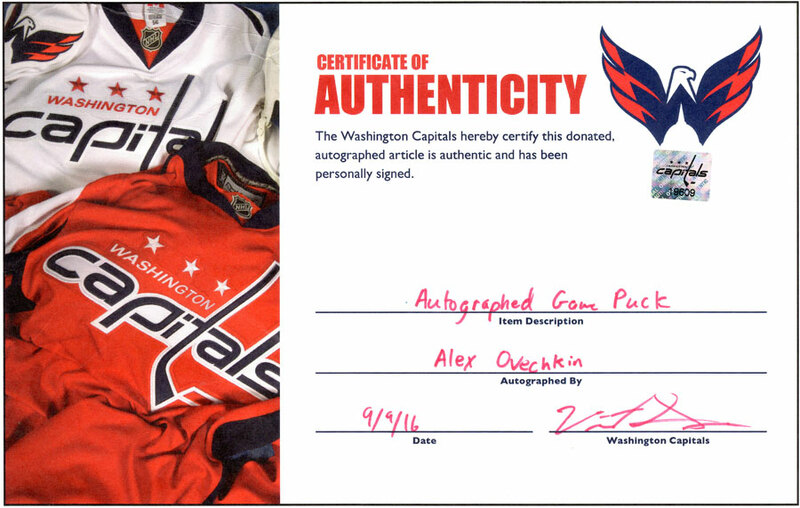 An Alex Ovechkin Autographed Hockey Puck! continue to bring creative therapeutic arts programs to young patients. Help the children to grow up stronger! Drawing will be held Saturday, January 14th. 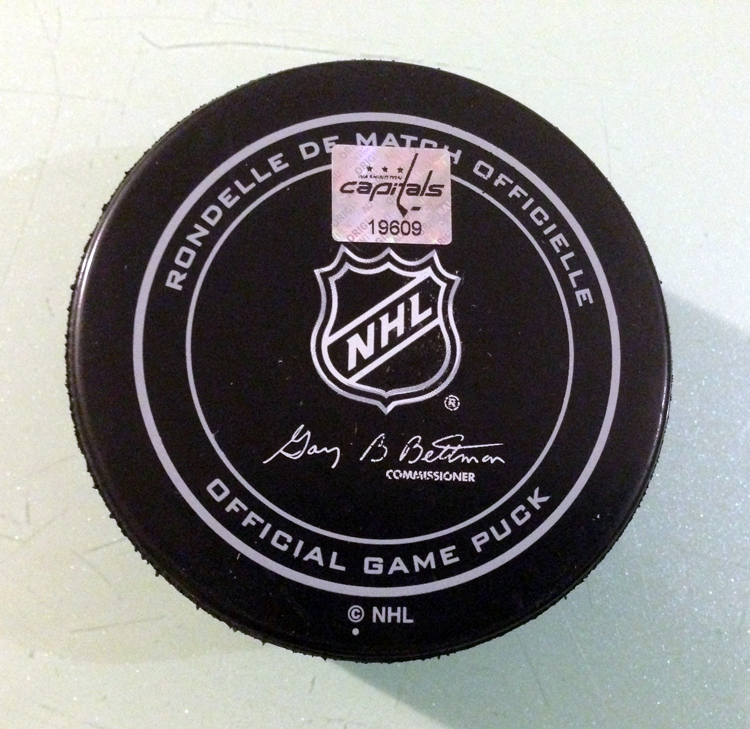 Puck Dimensions: 1 in. thick, 3 in. dia - Weight: 6 oz. 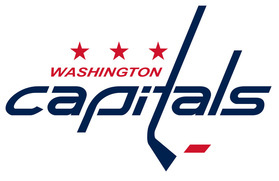 Thank you Washington Capitals for your contribution to "Light of Our Future"!! "The "LIGHT OF OUR FUTURE" exhibition opens October 1, 2016 and runs through January 14, 2017. The schedule includes live musical performances, children’s book fairs, and healing art workshops,.. All events will be held at Children's National Health System located at 111 Michigan Avenue NW Washington, DC 20010. THE CREATIVE AND THERAPEUTIC ARTS SERVICES (CTAS) at Children’s National, has provided programming to patients, families andnstaff since 1978. A small but dedicated team of trained professionals works to foster an atmosphere of empowerment and support to their inpatients,outpatients and their families. The team offers colorful creative choices, soothing sounds, imaginative opportunities and inviting galleries and exhibits. "The ARTISTS' mission of this exhibition is to combine the healing power of art, art therapy, and therapeutic music to help our patients heal, to assist patients with their pain and symptom relief, empower self-awareness and emotional expression for coping skills, ease anxiety, provide a creative outlet for depressed patients, and enhance family and social relationships. With a focus on healing, health, and joy, “Light of Our Future” will de-stress as well as entertain everyone.